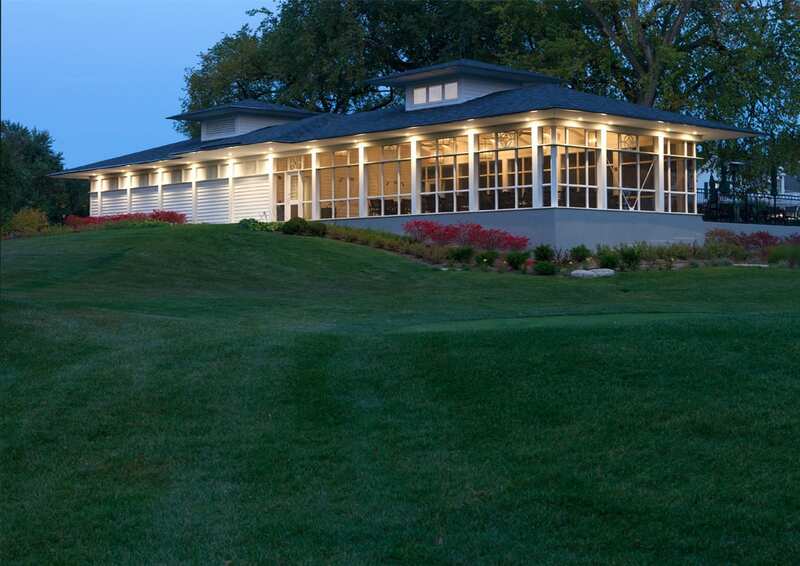 For more than a decade, there has been a trend in clubs and restaurants at both the national and local levels to shift from formal dining to a more casual experience. 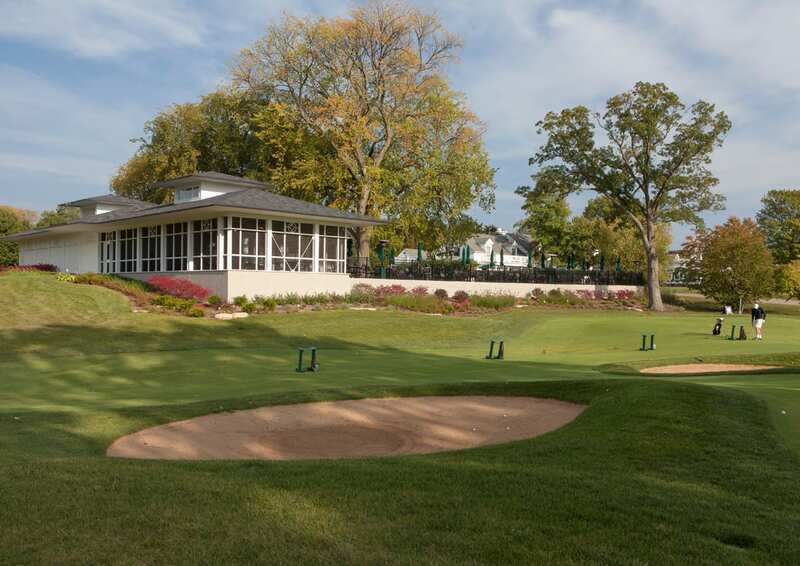 This club, located in the Chicago suburbs, approached Booth Hansen to design a three-season dining facility in an effort to maintain the usefulness of the current club for their established members, and to add amenities to attract new members. 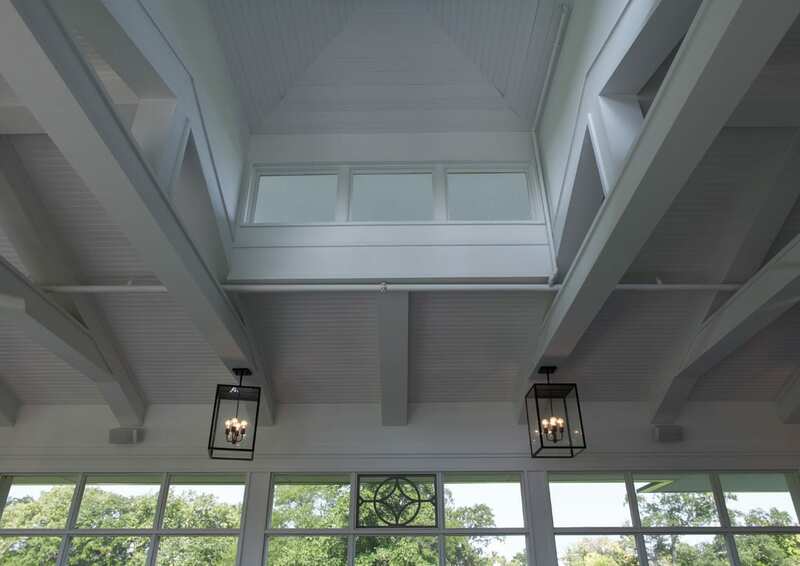 The design challenge was to replace the existing pool snack shop, intensify the menu, increase the dining capacity, and provide a fun, informal experience throughout the day for members and their guests. 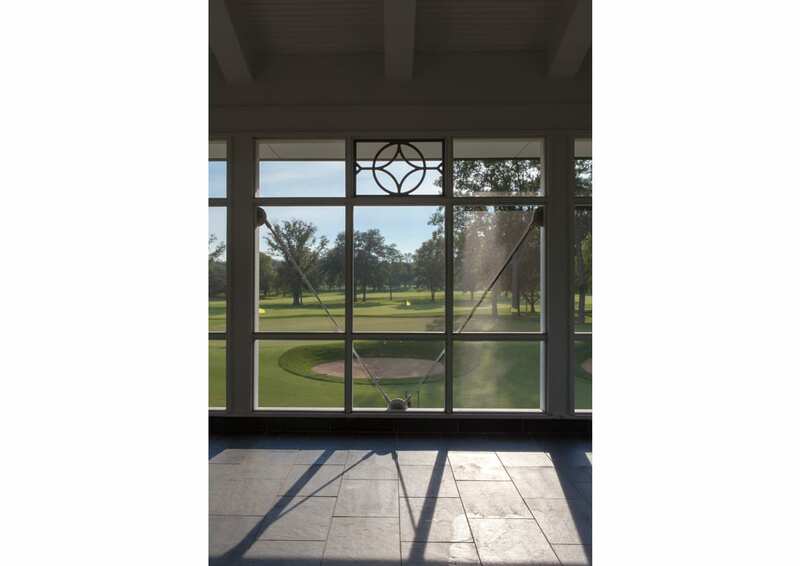 The pavilion offers unobstructed views overlooking the golf course and pool during the spring, summer, and fall seasons. 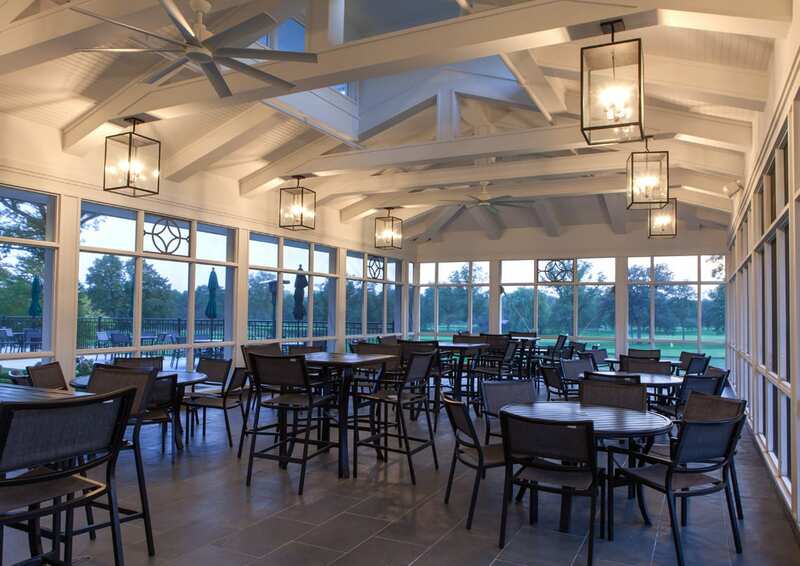 The screened-in area provides walk-up service for food and beverages during the day and a wait staff in the evenings. 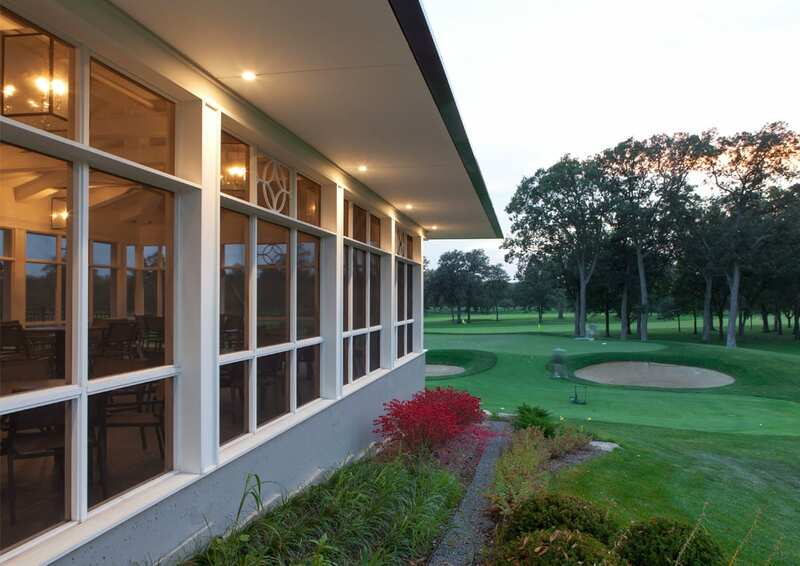 The exterior design alludes to the architecture of the club’s existing buildings while introducing modern details. 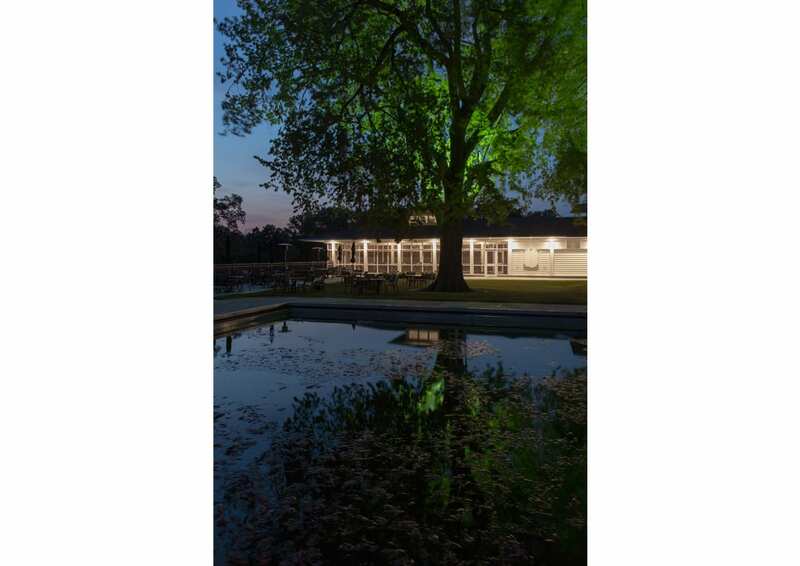 The skylight over the seating area provides light and ventilation, and in the evening becomes a “lantern” on the landscape. 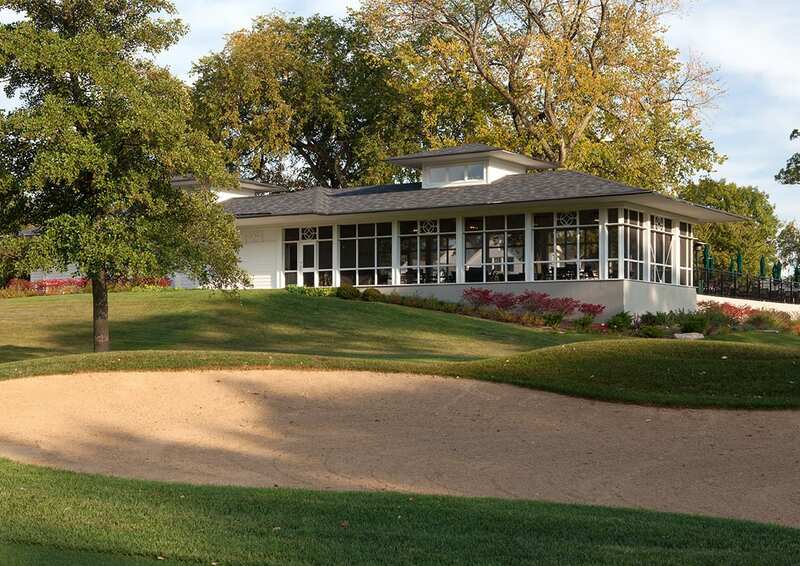 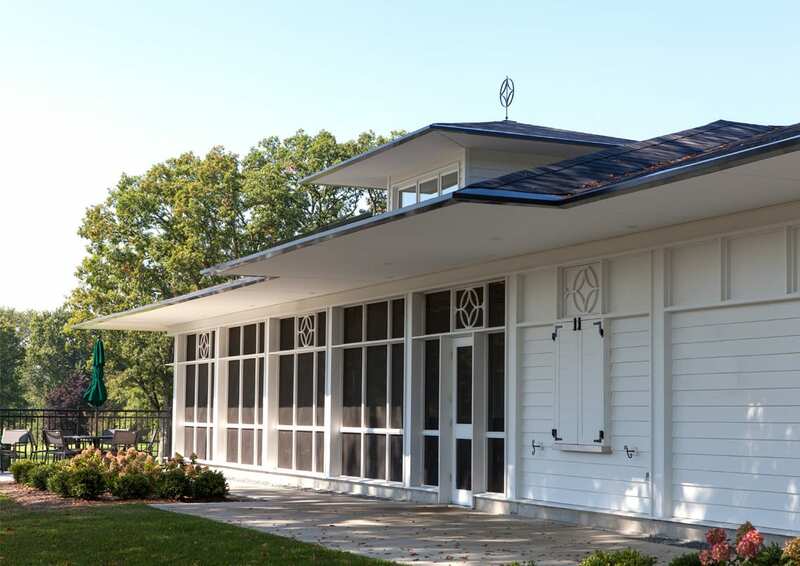 The pavilion includes a large kitchen, laundry room, and restrooms for diners, golfers, and pool patrons.